Tesla has agreed to an improved salary structure and job guarantee until 2022 for the workers at its German subsidiary, Tesla Grohmann Automation. The engineering firm that was acquired by Tesla last November serves as a critical component to Model 3 production, as the company supplies Tesla with automated systems needed to build the vehicle. However, months after the acquisition by Tesla, tensions began to rise after the relationship between company founder Klaus Grohmann and Tesla management soured over disagreements on how to handle Grohmann’s existing clientele like BMW and Daimler. The company founder abruptly retired in March, leaving employees questioning his motives and a firm with an uncertain future under the new Tesla leadership. Tesla quickly responded to the instability within the company by offering incentive packages to workers, amid threats that Germany’s largest union, IG Metall, would attempt to strike at a critical time when the California-based electric carmaker was scheduled to begin first production of the Model 3. The incentives included one-time bonuses, stock options and job guarantees for 5 years. 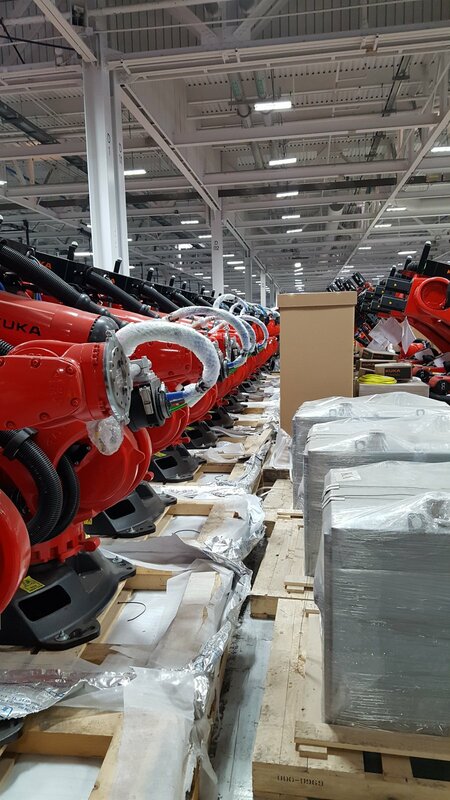 Now, six months later, Tesla Grohmann Automation has agreed to a new compensation structure and job guarantee. “We have developed our own remuneration structure in very pragmatic discussion,” said Tesla Grohmann Automation’s Uwe Herzig, as first reported by German publication WELT. The new salary structure equates to a roughly 30 percent increase which began on October 1, 2017. In addition to stock options worth approximately 10,000 euros and a bonus of 1,000 euros first agreed upon in April of this year, workers will also receive a reported 150 euro increase in their monthly salary.